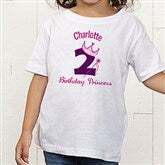 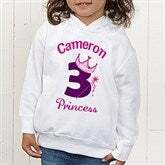 Your little girl will look and feel like Royalty on her special day, in her very own Birthday Princess Personalized Clothing! 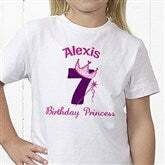 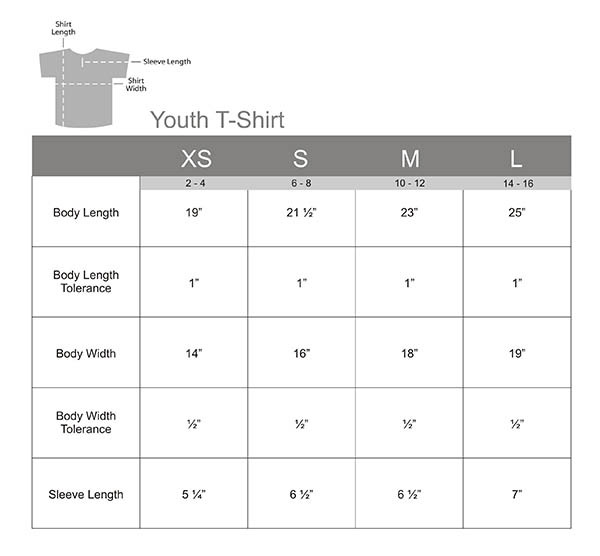 Our exclusive design will be imprinted on our top quality apparel, personalized with her name, prominently displayed above a whimsical crown hanging gingerly from any single number, followed by any title. 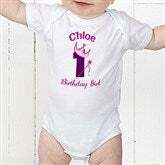 Think how adorable she'll look in her birthday photos!